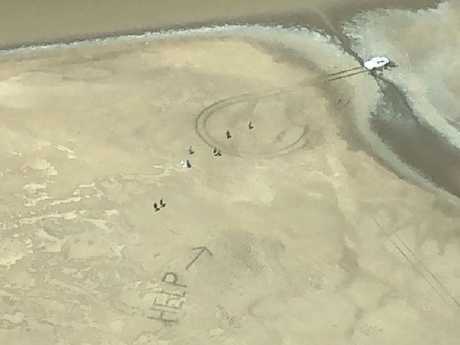 A young couple were able to be spotted by a rescue plane because they lit spot fires and scrawled messages in the mud. 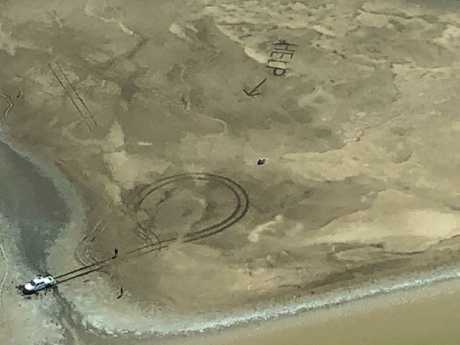 A YOUNG couple who became stranded on a fishing trip in the Northern Territory were rescued after scratching a large "HELP" sign in the mud near their bogged vehicle. 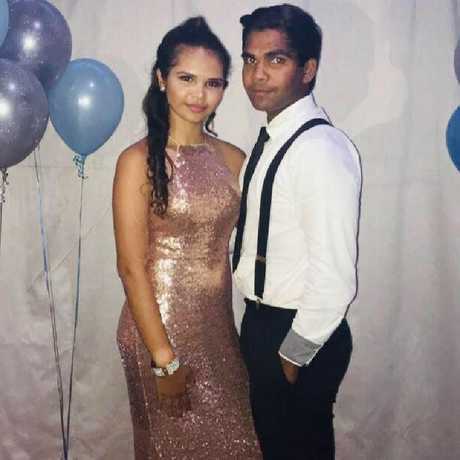 The couple, who set out on Sunday, told the ABC they couldn't sleep during the 26 hours they were stranded, as they had seen crocodile tracks before their vehicle became bogged. But when they didn't return home overnight, their family became alarmed and alerted police. 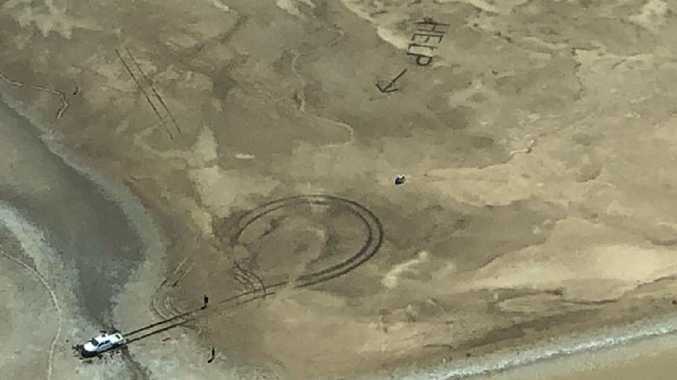 The couple lit spot fires and scratched a large "HELP" and an arrow into the mud near their vehicle in the hope rescue crews searching for the couple would have an easier time identifying them from the sky. A stranded couple were rescued by emergency services after they scratched ‘HELP’ into the mud. They were spotted by a plane and rescued by police on the ground. "We tried digging, and we tried putting stuff under the tyres, but it didn't budge," Ms Johnson told the ABC. "We were stuck on the marshland, and we were right next to saltwater," said Mr Nulgit. "We stayed in the car the first night and then we saw the water rising," he said. "We grabbed everything and took it about 20, 30 metres from the car." 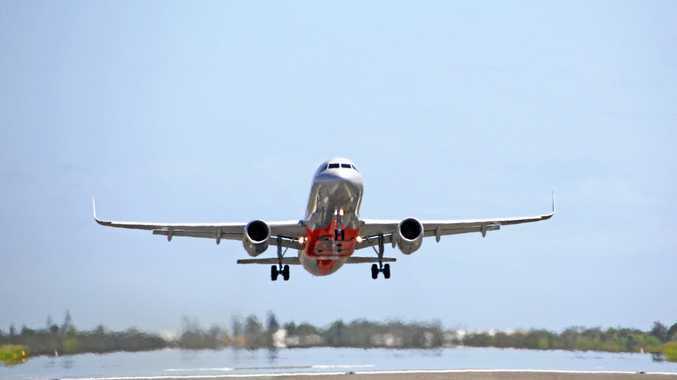 Police organised a co-ordinated search effort for the couple using a fixed-wing plane. "The plane crew comprised a pilot, a trained spotter from Kununurra Police and an SES volunteer," WA Police said in a statement. 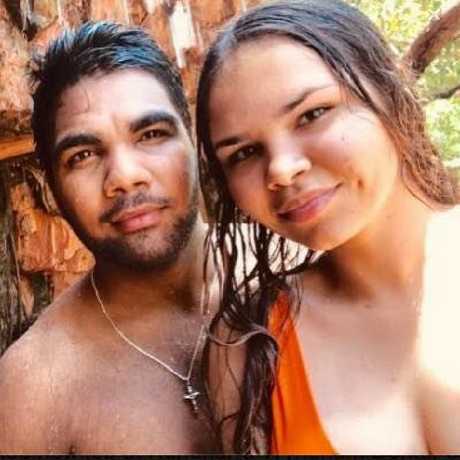 Miraculous video shows the crew locating the couple in a remote location known as "Barra Farm", an area north of Legune Cattle Station in the Keep River National Park. The couple had seen crocodile tracks before they became bogged. "If they had not lit the fire and advised family members details of when they were departing and an expected return time, the couple may not have been located," WA Police said in a statement. The young couple went missing while on a fishing trip.